You probably know that a picture is worth a thousand words. If a reader has a choice between 1000-word articles and the infographic that needs just a few scroll downs…he’ll obviously go with the infographic! Visual information is more likely read and understood than other types of data presentation. 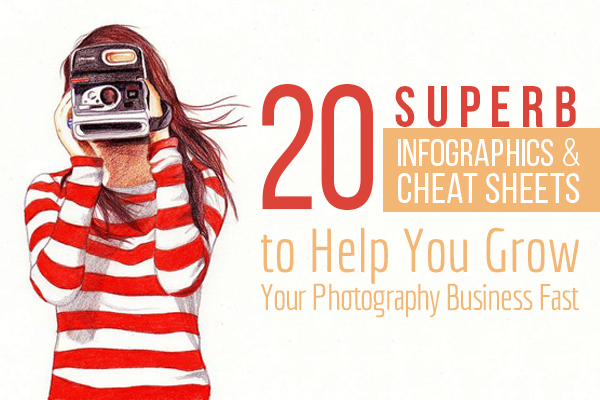 That’s why I collected helpful infographics and cheat sheets on photography for you. They contain the information on how to grow your business, drive relevant traffic to your website, photography marketing and SEO, guides on taking perfect pictures, making money with photos and videos, the latest trends in photography, Twitter and Pinterest guidelines to get the most of these social media giants, and so much more. Just scroll down and enjoy! Learning is not about reading long, dull instructions, but about vivid, colorful pictures and charts! To see the infographic in full-size, just click on the image. Hopefully, you like the showcase of infographics I put together. If you have something to say, don’t be shy, and give us some feedback in the comment field below. 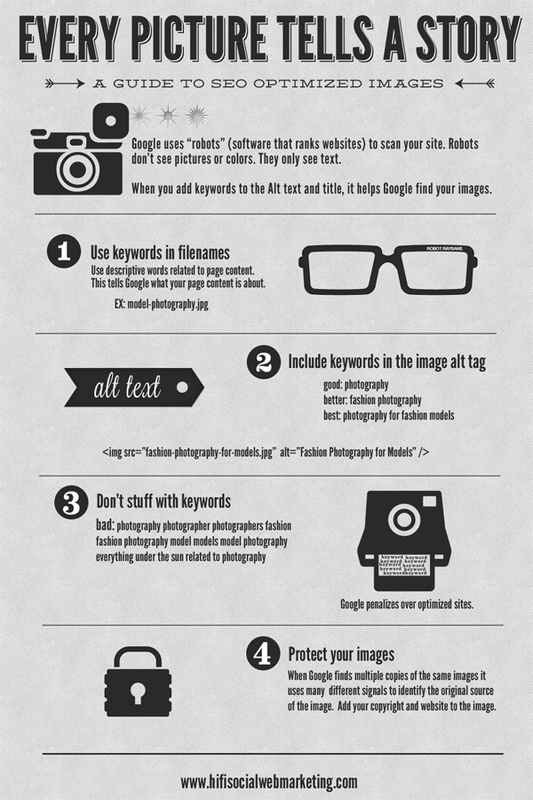 Also, don’t forget to check our our previous infographics on 10 must-have wedding shots and how to capture a perfect wedding picture.